A place to pour my geek and random thoughts. Since we’re mostly relying on downloading games now, unlike the old DVD or even cartridges, it’s not as easy to back them up. Hmm, now I’m wondering if there was a way to backup cartridges. Anyway, back to the subject on hand. 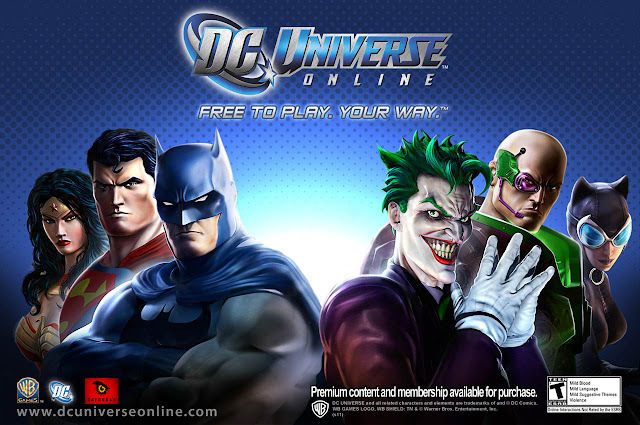 While this guide is specifically showing the steps of how to backup DC Universe Online game, the same tactic should work for any game. Should is the operative word here. Almost all games will save the raw game data files into a single folder, in this example, because DCUO uses the UNREAL gaming engine, yes, you guessed it, we’re going to back that up. If you navigate to your Program Files, you’ll be able to find the DCUO installation folder inside, and that’s about it. Copy the “UNREAL3” folder to wherever you want to back it up. Careful, most games are big in size. For example, this one is 24GB, so make sure that you have enough space on your external drive, or NAS or cloud or wherever you’re backing it up. Let’s pretend for a second that we didn’t know any of this, we were basically assuming that the largest folder (file size wise) in the game installation is the one that has all the raw game data files. Usually that assumption is correct, but I haven’t tried every game out there to confirm this, so there could be this one game where it has screenshots the size of a watermelon, and the game itself is just a grape. Could happen! How do I restore this game? Download the launcher from the official website of DC Universe Online. Wait until it finishes installing the basic files, when it’s done, the launcher should start attempting to download the game files. Close the launcher when you reach that stage. Copy the UNREAL3 folder you backed up earlier to the new installation folder, and overwrite the folder in there. Keep in mind, this copying process will take some time, depending on your PC. Game backup is faster, relatively, to restore/reinstall, but it is essentially about saving internet bandwidth and not worrying about a corrupted file from a packet loss. Blog links not working? I moved to Blogger.